and doesn't cost a cent to use. A card? You're talking through your hat! Where could you get a card like that? to realms of queens and emperors. A card? I'm curious as a cat. Where could I get a card like that? Don't keep us both on tenterhooks! will open up the world of books? This was published in "Book Week", Nov. 14-18, 1988, p. 50. Theme: "Wish Upon A Star"
As I was using my Library cards from The National Library of Australia and The State Library of NSW today I remembered this poem from my teaching days a career or two ago. My two little plastic cards have opened up a world of online books for me today from the comfort of my kitchen table. Using the library's online subscriptions I have searched current and old newspapers for snippets about relatives, found details of family members in Who's Who in Australia and read articles on genealogy in online journals. For the more unusual surnames in my family tree I simply search resources for that name and see what comes up. For those with more common names I do more specific searches coupling surnames with the places where people reside. Using "Tierney" and "Dungog" I have found many articles that mention my gggrandfather, Denis Tierney. I have discovered that he was a member of the rifle club and starter for the local race club as well as being very active in community affairs. I urge all genealogists to visit the sites of their State and National Libraries and take out a membership that will give them a Magic Card to open up a world of digital resources..
Hawkesbury Council is gearing up for celebrations. An essential tool for a genealogist is a good camera. This new Sydney Morning Article talks about the features of and reviews a range of new cameras available in Australia. A course for family historians in the ACT. Sutherland Shire Libraries News: Free Online Computer Training for Library members. 1) How old is your father now, or how old would he be if he had lived? Divide this number by 4 and round the number off to a whole number. This is your "roulette number." My Dad was born in 1919 so he would now be 90 years of age. 90 divided by 4 is 22 1/2 - I'll take 22 as my roulette number. 2) Use your pedigree charts or your family tree genealogy software program to find the person with that number in your ahnentafel. Who is that person? On our family's chart number 22 is my husband's grandfather, Ernest James Gillespie. 3) Tell us three facts about that person with the "roulette number." Ernest James Gillespie lived from 1889-1958. Ernest James Gillespie lived in Rosebery, Bowral and Arcadia, NSW. Ernest James Gillespie was a milk carter, dairy farmer and horse trainer. 4) Write about it in a blog post on your own blog, in a Facebook note or comment, or as a comment on this blog post. 5) If you do not have a person's name for your "roulette number" then spin the wheel again - pick your mother, or yourself, a favorite aunt or cousin, or even your children! The National Library of Australia is seeking copies of old newspapers that are missing from its collection to be digitised. Hoarders, who would like to assist, can check the list from the collect link below. 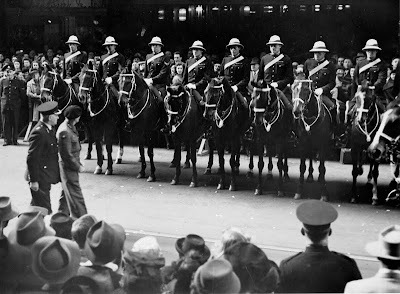 A war story from a woman in Perth, WA. These guides are valuable resources for the many genealogists use these mainstream software applications. Story of a "Black Sheep" who was transported to Australia. Greta news for those of us that want to do lots of lookups. Australian, Rowan McCormick where are you? Sundays at 7:30PM from 27th September. The first episode will feature Cathy Freeman. .......was the first line of our school song at St. Vincent's College, Potts Point in inner city Sydney NSW. 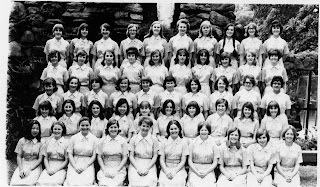 Although there were few flowers bordering the pathways at Vinnies those of us who were students in the fifties and sixties had a very happy time in the oldest Catholic girls school in Australia. It was established by the Irish Sisters of Charity in 1858. 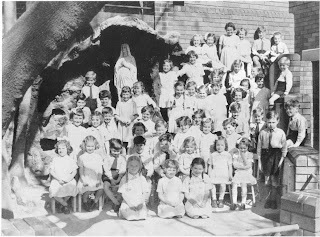 I was one of the littlies in this photo of the infants students taken in 1956.In the fifties the School had a small infants and primary department; these have now been closed and the School is a day and boarding school for girls in Years 7-12. There were 55 girls in our Class of '65. In 2008 the school celebrated its 150th anniversary with the St. Vincent's Sesquicentenary Alumni Dinner at The Sydney Hilton Hotel. I enjoyed the festivities with 18 of my former classmates including some who were with me in the 1956 photo and a number from the Class of '65 photo. This post has been prepared for the 17th Edition of Smile For The Camera "School Days." Like many other amateur genealogists I spend a lot of time working at my computer, scanner etc. When I was working in IT I embraced the safe work practices required by Occupational Health and Safety regulations but at home I am a little lax. How about you? This post from education.au educator Kerrie Smith is a reminder to we home 'workers' that we should follow safe work practices. Take a look at the useful list of hazards in Kerrie's post. Although I rarely venture into the city I am a member of the Society of Australian Genealogists. I rarely use the Society's facilities. So why am I a silent member? 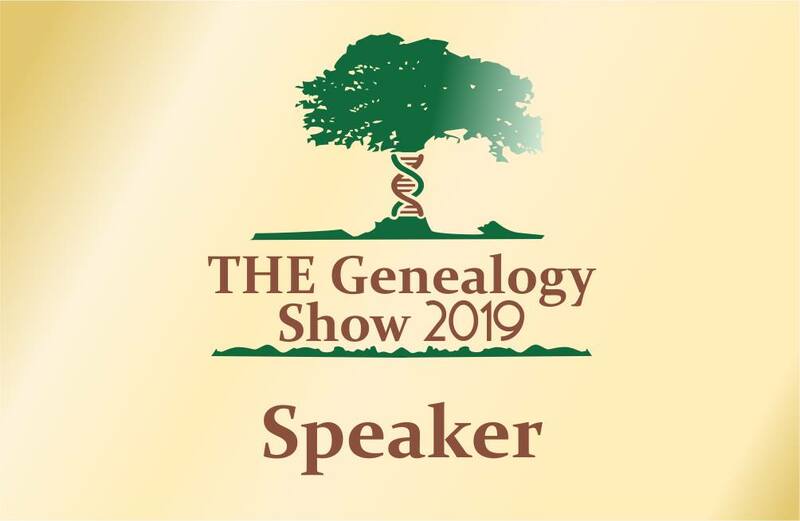 I hope that, in some small way, my membership dues will support the ongoing work of the Society particularly in its efforts to educate about genealogy and to preserve records related to the genealogy of Australians. 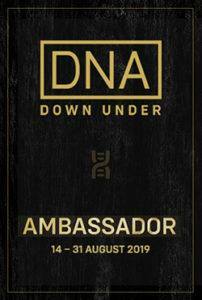 I think that, as someone who is interested in and passionate about family history, I should support the premier organisation in my state of NSW that is devoted to that pursuit. This video of an interview with Heather Garnsey, produced by The Teapot Genealogists, gives an overview of the Society's work and resources. With this gadget we could really collect lots of stories for our descendants. Will you be wearing one? How did I miss this book? I will put it on my To Read list at LibraryThing - if my family ever read this blog - here's an idea for a Christmas present. A reminder to take action before your old video tapes disintegrate. Thanks to Family Matters. The ACC is on the lookout for dodgy genealogy sites on the internet. Many family history resources are US or UK centric and not particularly relevant to those researching their ancestors in Australia. Of the Rootsweb Mailing Lists hosted at Ancestry.com there are many that have an Australian focus. Listed today on the Rootsweb site are 211 Australian lists including 25 NSW Lists where one can connect with others with shared interests. The shared interest may relate to a name, a place, or ethnic, occupational or society group. One can join these groups and receive emails each time a member posts an item for discussion. Joining instructions can be found on each Rootsweb list site. The archives for each list can be searched from each list's home page - one does not need to subscribe to do this. One may also subscribe to these lists via RSS and read the posts in a favourite feed reader such as Google Reader. This method only gives read access to the posts so one cannot contribute to the conversation. I use this method for the TMG list - a list for users of The Master Genealogist. Over the years I have hooked up with distant cousins via a number of NSW lists: AUS-NSW-HILLS-HAWKESBURY-HUNTER-VALLEY; NSW-ORANGEBATHURST and AUS-NSW-PENRITH. These days the lists keep me informed of events and new resources. Having reviewed the lists available I am going to join a few more today. Not often can I provide assistance to others but yesterday I was able to shed light on a problem for a lister on the Sydney DPS List who wanted to locate St. Peter's Church of England in Sydney. Being able to help a fellow genealogist gave me a real buzz. 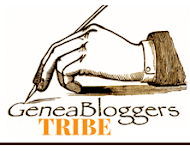 I was one of the first hundred to join the new Social Networking site GenealogyWise and immediately set up a group for Australian Genealogists that now has 173 members. 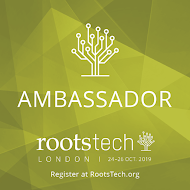 Whilst I am activley recruiting Aussies to join this group I still think that the Rootsweb lists provide a better option for Australian genealogists to pursue their specific interests. This may change as the GenealogyWise site and its users mature.